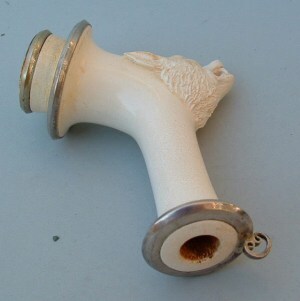 this is a sea foam pipe made in Wien (Austria). 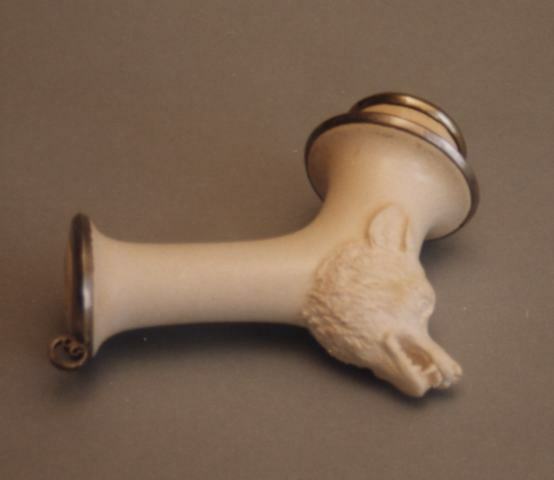 It has the shape of a wolf's head and two silver ring around the chimney hallmarked Wien 1866. 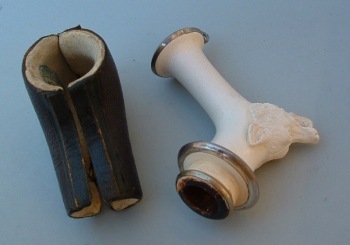 The pipe has a leather container properly shaped with the name and address of the retailer (in Wien). The pipe is 2 3/4 in. long (cm. 7) and was bought from an Italian dealer at an Antique Fair.